The state of California is vast, containing several large metropolitan areas as well as many more medium and small cities across its varied and extensive landscape on the West Coast of the United States. California borders Mexico and the Pacific Ocean, with multiple international airports, interstate and intrastate highways, and several busy seaports, making it a prime candidate for drug trafficking organizations (DTOs) to move drugs in and out of the area. California also has a large agricultural region and many rural areas that may be conducive to illicit drug manufacturing or production as well. Each of these HIDTAs contain several counties and multiple cities, and all may have different localized drug concerns. Drug access promotes abuse, and abuse may lead to addiction. Substance abuse and mental health concerns, including mental illness, often co-occur and therefore contribute to a region’s overall health. Mental health and substance abuse issues are generally treated by public programs run by the local county that may be free or low-cost, or fee-for-service facilities, which are private programs that may be more comprehensive. Each local county will have a specific mental health or behavioral health services department set up to provide resources on treatment programs within the community and cities in the region. Humboldt County is a relatively rural region in the southwestern portion of Northern California, with many medium to small cities within its borders, including Eureka, Fortuna, and Arcata. In 2013, rates of individuals enrolled in Medi-Cal and using local mental health services was double those of state averages at over 10 percent as compared to around 5 percent. Suicide rates are high in Humboldt County, and it is the number one cause of death for individuals between 15 and 24. Self-inflicted injuries may increase with substance abuse. Alcohol and drug abuse rates are higher in Humboldt County than the rest of the state, and deaths related to drugs in 2013 occurred at a rate of 36.9 per 100,000 population while the state rate was only 10.9 per 100,000 population. Adults in Humboldt County in 2009 engaged in binge drinking (four or more drinks in a sitting for a woman and five for a man) at rates of 40.2 percent, and 26.4 percent of local teenagers had consumed alcohol. Kids may be starting drug or alcohol abuse at younger ages in Humboldt County, closer to 13 or 14, instead of the state average of 16 or 17, a study encompassing the years 2009-2011 suggested. Twenty-two percent of all 9th graders had abused marijuana in their lifetime while state averages were 15 percent. Eureka noticed a jump in violent crimes in 2011 from the previous year while the rest of the state was in decline, which may be partially affected by high rates of alcohol, methamphetamine, and heroin abuse as well as high unemployment rates. Prescription drug abuse may also be a large concern in Humboldt County cities as the number of prescriptions per 100 residents is alarmingly high at 45 percent the national rates (in 2014) and twice the state rates at 119.3 opioid prescriptions per 100 people. Rural areas and small towns may be particularly affected by poor mental health and high substance abuse rates. While the Bay Area includes the bigger cities of San Francisco and San Jose, it is also home to several smaller cities that are inside the borders of Alameda County. Oakland is the largest city in Alameda County, generally considered to be a part of the Bay Area, and features very high crime rates. Economic disparities are common in the Bay Area and may account for high levels of crime and potentially be related to substance abuse and mental illness as well. Within Alameda County, almost 30 percent of people binge drank alcohol in 2009, which was just below the state averages.Berkeley has the highest rate of hospitalizations (from 2009 to 2011 on average) due to mental illness in Alameda County, at 333.5 per 100,000 population. Oakland was right behind at 323.9 per 100,000 population. 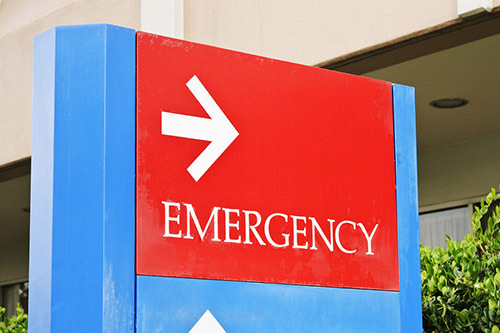 Emergency department (ED) visits due to a mental health disorder were highest in males between the ages of 45 and 54 and second highest in males between 15 to 24. They were above County averages of 1,064.1 per 100,000 population (2009-2011) in Oakland, Hayward, Newark, and San Leandro. Located on the northwestern coast of California and bordered by massive redwoods and coastal beaches, Crescent City is in Del Norte County. High rates of poverty and isolation may contribute to stress, anxiety, and depression, which may lead to substance abuse as a form of relief. In Crescent City in 2011, the rate of ED visits for mental health issues was close to five times the state average at 545.2 per 100,000 (the state average was 130.9 per 100,000). ED visits for self-inflicted injury was more than double state averages for Crescent City in 2011 as well at 20.9 per 100,000 compared to 7.9 per 100,000. Substance abuse ED visits were shockingly high at 1,893.6 per 100,000; the state average was only 232 per 100,000! The Central Valley region encompasses many rural, prime agricultural sites, and national forest lands. Cannabis cultivation, marijuana production, and methamphetamine distribution and production remain top drug threats in the CVC HIDTA. Heroin abuse and dependency in the region are on the rise as well. In Kern County, treatment admissions to substances abuse programs saw a jump of more than 500 admissions from 2012 to 2014. The CVC HIDTA includes Kern, Merced, Kings, Fresno, Madera, Sacramento, Stanislaus, Shasta, San Joaquin, and Tulare Counties. Kern County is known for its issues with the powerfully addictive stimulant and illegal drug methamphetamine. When meth is heavily saturated in a local community, crime rates are affected, and rates of violent and property crimes may be high. 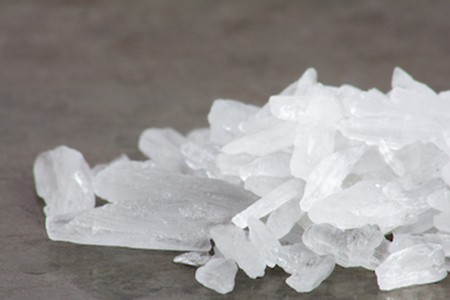 In California City, in May 2014, 7 percent of all law enforcement incidents involved meth, and another 4.2 percent were believed to be related to meth as well. In the city of Delano 12.4 percent of the 1,205 reported law enforcement incidents were related to meth, and an additional 7.8 percent were also believed to be tied to meth in some way. Alcohol abuse may be normal on many college campuses. Chico, California, is home to Chico State University where students may drink more times a month than students at other California State University schools. The Butte County Behavioral Health department provides a phone number for individuals and families in Chico, Oroville, Gridley, Paradise, and outlying rural areas to call when experiencing any sort of substance abuse or mental health concern. Operators will schedule a follow-up appointment in order to determine what program or treatment plan is best. South and east of San Jose, Merced County, which includes the city of Merced, had a high rate of age-adjusted deaths induced by drugs between 2007 and 2009, at 10.4 deaths per 100,000 people, which was similar to the state of California rate but way above the national target goal of 1.2 deaths per 100,000 population. In 2008, Merced County had the highest rate of children (individuals under age 18) in poverty in the entire state of California. In 2010, poverty rates for the county were 24.3 percent overall. Mental health and poverty are often related, and in Merced County, in 2009, 5 percent of the adult population suffered from a serious mental illness (SMI). The rural counties of Kings and Madero had high poverty and SMI rates, further highlighting the connection between poor mental health and the economically disadvantaged population. Kings County, which houses the city of Hanford had an adult SMI rate of 6.9 percent of all adults in the county, while Madera County had the highest percentage of adults living with SMI in the state in 2009 at 7 percent. Substance abuse-related hospitalizations in Marysville, California – located in Yuba County in the northern Central Valley region, at 324.7 per 100,000 population – were more than double state rates of 143.8 per 100,000 population in 2011. Yuba City had much higher rates as did Yuba County overall, and the city of Olivehurt also had high incidents of hospitalizations for substance abuse-related issues as well. Hospitalizations for mental health concerns were also higher in all three cities than the state of California in general (Marysville 256.0 per 100,000, Yuba City 238.5 per 100,000, and Olivehurst rates were 173.2 per 100,000). 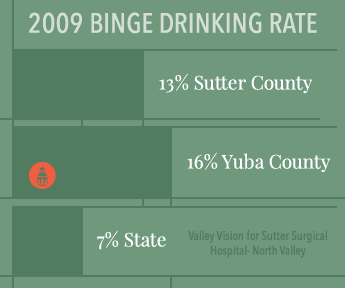 Approximately 13 percent of Sutter County adults drank excessively or binge drank, while 16 percent of Yuba County adults did in 2009, which was also higher than the state average of 7 percent. Substance abuse treatment needs are handled by the Bi-County Substance Abuse Services for Sutter and Yuba Counties, which provides resources for public outpatient programs as well as referrals to contracted nonprofit providers for residential treatment. In 2012, it was estimated that Placer County 11th graders were abusing prescription drugs at rates double the national average. Placer County is just outside of Sacramento and includes the city of Auburn, California, where heroin may be making its rounds up from the big cities and throughout the region as an alternative to opioid prescription painkillers that so many became hooked on in the early 2000s. Today, these prescription opioids may be harder, and more expensive, to get than the illegal drug heroin. Placer County has a Placer County Substance Abuse Services Resources Guide that lists local substance abuse providers and details the services they offer. 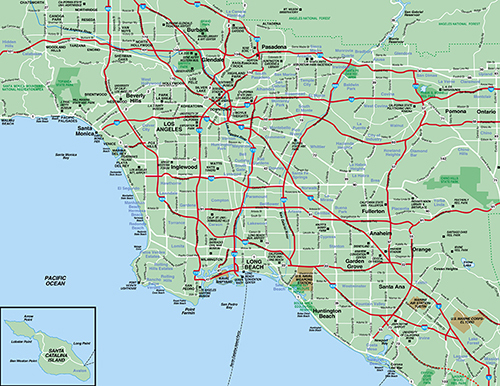 The Los Angeles (LA) County HIDTA includes not only the major city of Los Angeles with its massive seaport and international airports, but also the counties of Orange, San Bernardino, and Riverside. The most problematic drugs in the LA County region are marijuana, alcohol, heroin, and methamphetamine, as Mexican drug cartels and DTOs use this region to move large quantities of drugs into the US by land, sea, or air. Methamphetamine indicators are quickly rising in this region, as reports on seized drugs by National Forensic Laboratory Information Systems (NFLIS) labs increased in 2013, and meth was the number one drug analyzed in LA County for the 2013 calendar year (CY). Cities in LA County include Beverly Hills, Pasadena, Santa Monica, Burbank, Compton, Redondo Beach, Inglewood, and West Hollywood, to name a few. All these cities are within San Bernardino County. In 2012-2013, residents were admitted to public substance abuse treatment facilities most often for meth abuse or dependency (2,778 people). Heroin was second (1,447), then marijuana (851), followed by alcohol (792), and finally by cocaine (179). Approximately 20 percent of these individuals also obtained public mental health services that year, and close to half (44 percent) had done so in the past. Alcohol was involved in 12 percent of all major motor vehicle crashes in 2012, which was slightly higher than the state rate of 11 percent. Deaths induced by drugs was the 12th leading cause of death in San Bernardino County in 2012. Southern California contains the border between the US and Mexico, and this proximity may make the area more prone to illegal drug trafficking and a high presence of Mexican drug cartels and DTOs operating in the region. There exists a partnership between the Southwest Border HIDTA and the California Border Alliance Group (CBAC) that strives to combat drug smuggling and its respective issues in the border region. Despite this, cocaine, heroin, methamphetamine, and marijuana may routinely make their way up across the border and into Southern California. Local production of meth and cultivation of cannabis plants for marijuana production may be prevalent in this area of the country. In cities, such as Chula Vista, Oceanside, Carlsbad, and Escondido within San Diego County, meth may be the biggest health concern, with substance abuse treatments reaching 29 percent of all treatment admissions in the first half of 2012, an increase of 4 percent since the same time in the past year. Heroin treatment admissions were a close second at 24 percent and also increased in the first six months of 2013 as compared to prior years. One of the US/Mexico Border towns in Imperial County. Drug smugglers have used many creative ways to get drugs across the border, including drug tunnels like the one that border patrol agents discovered nearby in 2015 that went underwater to cross into America from Mexico. The city of Imperial is within Imperial County and also near the international border. Imperial County recorded 13.8 drug-induced deaths per 100,000 people on average between 2011 and 2013, which was higher than the state rate of 11.2 per 100,000 population. Mental illness, addiction, substance abuse, and co-occurring disorders are major health concerns throughout the state of California. There are many viable options for rehab and recovery throughout this large state to improve the health of residents. Recognizing the benefits of a substance abuse or mental health program is the first step, and family support can be very helpful as well. 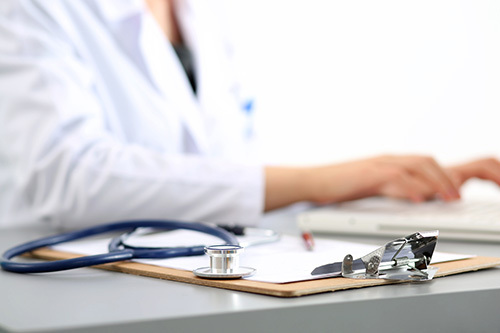 Both private and public treatment options may provide numerous treatment programs, and many accept Medi-Cal recipients or private insurance payments. In the long run, substance abuse and mental health programs can save individuals and families money and improve overall quality of life for everyone involved. A mental health and drug abuse assessment will often be done early on in order to find the right level of treatment program, as no two people will need the same treatment at the same time. Check with the local county’s mental health, behavioral health, or substance abuse services division in order to find local public, community, nonprofit, and contracted private treatment resources. (n.d.). “HIDTA Counties by State.” Office of National Drug Control Policy. Accessed October 7, 2015. (Sept. 2011). “Northern California High Intensity Drug Trafficking Area (HIDTA). Drug Market Analysis 2011.” U.S. Department of Justice (DOJ) National Drug Intelligence Center (NDIC). Accessed October 7, 2015. (2013). “Community Health Assessment 2013.” Humboldt County Department of Health and Human Services (DHHS). Accessed October 7, 2015. Golan, E. (July 2011). “Left Out: While California Sees Violent Crime Rates Drop, Eureka Hasn’t Followed Suit.” Eureka Times-Standard. Accessed October 7, 2015. Harrision, C. (Dec. 2014). “Humboldt County’s ‘Shocking’ Painkiller Prescription Rates Reverse Course.” Eureka Times-Standard. Accessed October 7, 2015. (2014). “Alameda County Health Data Profile 2014.” Alameda County Public Health Department Community, Assessment, Planning and Education (CAPE) Unit. Accessed October 7, 2015. (Aug. 2013). “A Community Health Needs Assessment of the Sutter Coast Hospital Service Area (HSA).” Valley Vision for the Sutter Coast Hospital. Accessed October 7, 2015. (Aug. 2011). “Central Valley High Intensity Drug Trafficking Area (HIDTA) Drug Threat Assessment 2011.” U.S. Department of Justice (DOJ) National Drug Intelligence Center (NDIC). Accessed October 7, 2015. (May 2015). “Trends in Drug Abuse Treatment and the Drug Threat. Vol. 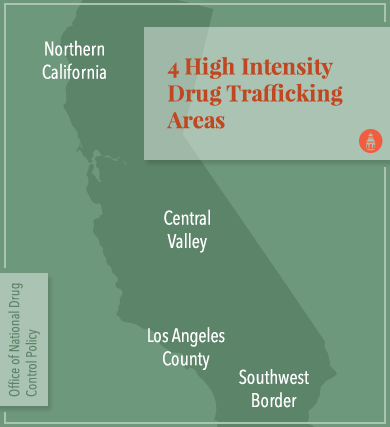 1: Will Heroin Overtake Methamphetamine?” Central Valley California High Intensity Drug Trafficking Area (HIDTA). Accessed October 7, 2015. (Sept. 2014). “The Impact of Methamphetamine in Kern County: 2014 Update.” Kern County Mental Health Department. Accessed October 7, 2015. Polanksi, P, Powner, D. (May 2014). “Chico State Alcohol Abuse is Similar to Other Campuses.” A News Cafe. Accessed October 7, 2015. (2013). “Behavioral Health.” Butte County. Accessed October 7, 2015. Chandler, T., Livermore, T. MD. (April 2012). “Merced County Health Status Profile 2011.” Merced County Department of Public Health. Accessed October 7, 2015. (July 2013). “Mapping the Gaps. Mental Health in California.” California Health Care Foundation (CHCF). Accessed October 7, 2015. (July 2013) “A Community Health Needs Assessment of the Sutter Surgical Hospital- North Valley Hospital Service Area (HSA).” Valley Vision for Sutter Surgical Hospital- North Valley. Accessed October 7, 2015. (2015). “Bi-County Substance Abuse Services.” Sutter County Substance Abuse. Accessed October 7, 2015. Seyydin, S. (Feb. 2012). “Prescription Drug Abuse Among Placer County Youth Two Times the National Average.” Auburn Journal. Accessed October 7, 2015. Smith, J. (July 2014). “Heroin in the Foothills- Part 1.” Auburn Journal. Accessed October 7, 2015. (2013). “Placer County Area Substance Abuse Resource Services 2012-2013.” Placer County Substance Abuse Services. Accessed October 7, 2015. (Sept. 2011). “Los Angeles High Intensity Drug Trafficking Area (HIDTA). Drug Market Analysis 2011.” U.S. Department of Justice (DOJ) National Drug Intelligence Center (NDIC). Accessed October 7, 2015. (Feb. 2014). “Drug Abuse Patterns and Trends in Los Angeles County- Update: January 2014.” National Institute on Drug Abuse (NIDA). Accessed October 7, 2015. (2014). “San Bernardino County 2014 Community Indicators Report.” The Community Foundation. Accessed October 7, 2015. (n.d.). “Southwest Border HIDTA California Partnership.” High Intensity Drug Trafficking Areas (HIDTA) Office of National Drug Control Policy. Accessed October 7, 2015. (Feb. 2014). “Drug Abuse Patterns and Trends in San Diego County- Update: January 2014.” National Institute on Drug Abuse (NIDA). Accessed October 7, 2015. Adams, A., Kreuger, P. (Aug 2015). “Underwater Drug Tunnel Burrowed Into Calexico Canal.” NBC 7 San Diego. Accessed October 7, 2015. (2015). “County Health Status Profiles 2015.” California Department of Public Health. Accessed October 7, 2015.